I am a USDF/USEF Silver Medalist in Dressage. I earned my United States Dressage Federation Silver Medal in 2014 and Bronze medal in 2013 on my first love, Kaytee Mountain, otherwise known as Tee, an off-track-Thoroughbred I bought out of a field in October 2007 as a 4 year old in PA where he was bred. 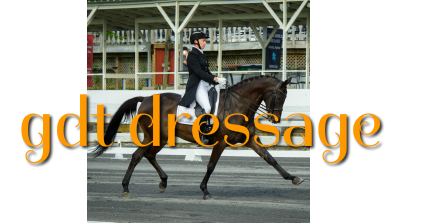 We have learned dressage together from the very basics as he had never done anything but race. Five years later we competed at Dressage in Devon for the first time, where we placed 3rd in 4th Level Test 2 with a score of 66.892%. Tee is now competing in Intermediare 1 with scores of 68%. Conde was sold in July after just 1 week on the market. He was competing 4th Level with scores of 70% and Fürst Henning is competing in the 1st Level Test 3 with scores of 70%. It is an exciting time. In the following pages you will meet Tee and Fürst Henning, along with Don Lino both who is owned by Jennifer Marrero, who I work with every day. They are all very special and I am a very lucky girl to get to enjoy them and train them.